He bears some responsibility for the shortage, but there are other factors at play. Late in a game against Detroit last season, Ben Roethlisberger dropped back 7 yards into the end zone and scanned the field. In the middle, JuJu Smith-Schuster blew past cornerback Quandre Diggs. The Lions’ two safeties, their last line of defense, were watching the Steelers’ outside receivers. They left the center of the field wide open. As Smith-Schuster neared the 15-yard line, Roethlisberger’s pass hurtled toward him, hitting him in stride at the 28. Not a single Lions defender stood between him and the end zone. On that one play, Smith-Schuster gained 72 yards after catching the ball. 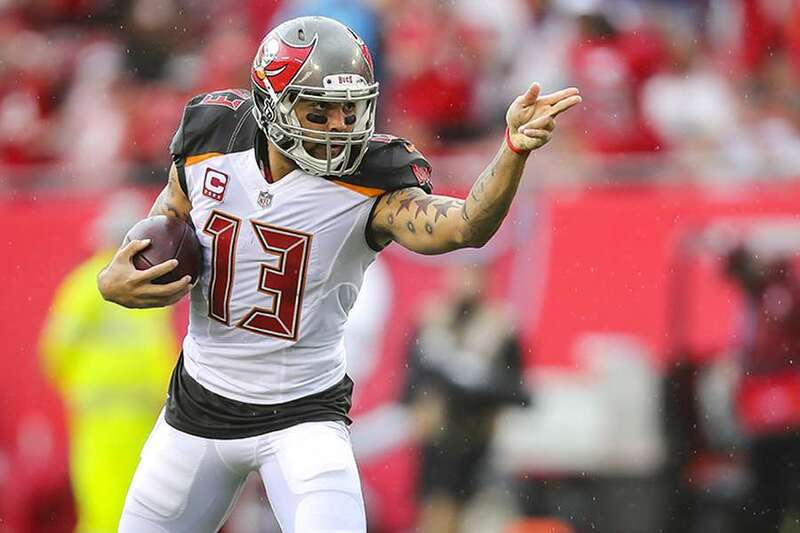 Bucs receiver Mike Evans gained 115 yards after the catching the ball. It just took him 15 games to do it. For a player who caught 71 passes, accumulated more than 1,000 total yards and is widely regarded as one of the 10 best receivers in the game, that’s an awfully scant amount. Was something wrong? To find out, I reviewed each of the 136 passes intended for Evans last season. Here’s what I learned. How does Evans compare with other players? Evans was one of the most targeted receivers in the NFL last season, so his total yards after catch (YAC) might not be the best representation of his productivity. Instead, let’s look at his YAC per catch. Of the 76 receivers who caught at least 50 passes, Evans (1.62) ranked next to last, just ahead of former Cowboys tight end Jason Witten (1.60). A bunch of running backs topped the list, led by Todd Gurley (12.67) and Jerick McKinnon (9.33). Smith-Schuster (6.95) and Golden Tate (6.95) were the leading non-running backs. Considering how often running backs are targeted behind the line of scrimmage, you’d expect them to rack up YAC. The same goes for receivers like Smith-Schuster and Tate. Because of their ability to get open quickly, they run the majority of their routes out of the slot and are emergency outlets when their quarterbacks are under pressure. YAC+ usually will give more credit to a receiver who gains YAC on a pass that travels beyond the first-down markers than a receiver who gains YAC on a pass that travels well short of the markers. Top-ranked receivers tend to finish with a YAC+ of about 2.0; bottom-ranked receivers tend to finish with a YAC+ of about -2.0. Evans finished last among qualifying receivers in 2016, with a YAC+ of -1.9. In 2017, his YAC+ declined further, to a career-low -2.0. So what you’re seeing on game day is no illusion. The question is whether it’s something to be concerned about and whether it’s something specific to Evans. How do the Bucs compare to the rest of the NFL? The Bucs gained 1,658 YAC last season, which ranked 20th. The raw yardage total is misleading, however, given Tampa Bay’s heavy volume of passes. If we look at YAC per catch, the Bucs’ 4.39 average was second to last (the Ravens finished with a 4.25 average). Evans weighs down that average, so what happens when we remove his production? Tampa Bay’s YAC per catch increases to 5.03. Even after that adjustment, the Bucs would have ranked 19th. Evans, it seems, isn’t the only one struggling to gain YAC. Why can’t the Bucs be more like the Patriots? Isn’t their offense is fueled by YAC? When we dive deeper into the numbers, we find that’s not the case. They gain a lot of YAC because, like the Bucs, they throw a lot of passes. On a per-catch basis, they’re about league average. They actually like to push the ball down the field. Tom Brady attempted deep passes about as often as Jameis Winston, according to Pro Football Focus. Much like the myth that teams must “establish the run” to win games, YAC are not necessarily an indication of an efficient offense. For example, the Colts ranked seventh in YAC per catch last season and operated one of the least efficient passing offenses. The Eagles ranked 23rd and operated one of the most efficient. The goal should be first downs and touchdowns, not just completions. What can Evans do to improve? Evans isn’t the type of receiver who gains a lot of YAC. His track record suggests as much. He gained 2.66 YAC per catch in 2014, 3.32 in 2015 and 1.76 in 2016. He’s not Tyreek Hill. He’s not a burner that gains very much separation. According to the NFL’s Next Gen Stats, Evans gained an average of 2.1 yards of separation from the nearest defender, which ranked near the bottom of the NFL. Hill gained 3.5 yards. Evans is big. He is long. He is physical. He is strong. He overpowers. He outmuscles. His job isn’t to be fast. His job is to be tall. Mike Evans vs. Richard Sherman. … And that’s how he beat Ricardo Allen and Desmond Trufant for a 42-yard touchdown last season. The environment around Evans isn’t exactly favorable for gaining YAC. His production is tied to defensive alignments, the Bucs’ offensive philosophy and the development of a young quarterback. Winston, who at 23 was the second-youngest quarterback to start the majority of his team’s games last season, is an aggressive passer in an aggressive offense. He trusts Evans and wants to give him chances, even if he expects a defender to contest the catch. “Sometimes you’ve got to have that type of attitude because when you are desperate, when you are in need of something – and we are in need of a win – you’ve got to trust your guys,” he said after a late-season loss to the Falcons. Winston’s willingness to throw into tight windows explains, at least to some degree, why Evans gained few YAC on go routes, the routes he ran most often. On those plays, he averaged 1.3 YAC, according to Pro Football Focus. That’s not atypical. Many of the league’s elite receivers put up similar numbers. DeAndre Hopkins averaged 2.0, Julio Jones 2.0, Keenan Allen 2.3 and Michael Thomas 2.5. Evans’ lack of YAC production wasn’t just limited to go routes, however. On slants, posts and digs (also called in routes) — routes designed to get the receiver in space — Evans gained 42 YAC on 24 catches. What happened? As Football Outsiders’ YAC+ data suggests, there’s more to the shortage than sometimes erratic quarterback or offensive line play. Your eyes were not deceiving you. 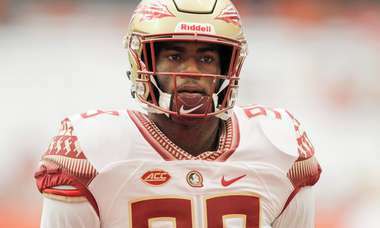 Evans was leaving some yards on the field, occasionally falling to the ground while making a catch, even when Winston’s throws put him in position to run. Sometimes, it appeared as if he was trying to safeguard against dropping the ball. Other times, it appeared as if he was bracing for contact. Should the Bucs use Evans differently? Winston completed 80 percent of his passes to Evans on slant routes last season but only 25 percent on go routes. So coach Dirk Koetter should switch up his play-calling and get Evans more involved underneath, right? Not so fast. Before we try to turn Winston into Joe Flacco, let’s take a deep breath. Think about what the Bucs could gain from more short passes. More catches. A higher completion percentage. Fewer turnovers. A lower interception rate. And, of course, some YAC. Now think about what they could lose. Anyone in favor of them converting fewer first downs? That’s the risk. And considering that Evans’ catches resulted in a first down more than 77 percent of the time last season, that’s probably not a worthwhile trade. Only Rob Gronkowski and Marquise Goodwin posted higher rates. Short throws to shiftier receivers like Adam Humphries, and even DeSean Jackson, might make sense. In Evans’ case, though, the Bucs would be failing to play to his strengths. Aggressive play doesn’t guarantee success, especially if the quarterback is inconsistent, but a steady diet of deeper passes to Evans is the better strategy, even if they don’t result in lots of YAC. His touchdowns were down last season, but they’re coming back. Statistics in this report are from Football Outsiders, Pro Football Focus, Pro Football Reference and STATS. Contact Thomas Bassinger at [email protected]. Follow @tometrics.